Blog Troubleshooting: “Uh oh! 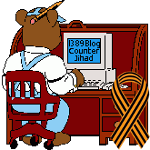 My blog won’t display!” — 1389 Blog - Counterjihad! The symptoms: Maybe your blog won’t come up in your own browser. Or maybe it looks fine in your browser, but not in someone else’s. You get a discreet (or not-so-discreet) message that there’s a problem. Somebody’s complaining about a 404, an hourglass, a browser crash, a blank window that says “Done,” a partial display, or a scrambled mess that they can scarcely describe. You gotta fix it promptly! It could be a problem with your layout or content. It could be a problem with the hosting provider. Or it could be a hacker or spammer interfering with delivery of your blog. Whatever the problem, it’s up to you to do something about it. If you have a blog and you want to maintain your credibility, your readers expect your blog to come up promptly when they want to see it. They expect it to display attractively in all of the commonly-used Internet browsers. If your blog loads slowly and displays poorly, it reflects badly on your ability to maintain your blog. If your blog is down too frequently or for too long a time, your readership will disappear because visitors will think you’ve stopped blogging entirely! Learn from other bloggers’ war stories! Problems fall into certain general categories. Even though every blog troubleshooting scenario may look different at first glance, you can learn to spot the symptoms of common problems that are easy to fix. As a general rule, the more troubleshooting “war stories” from other bloggers you read about or listen to, the more problems you will be able to solve, and the more pitfalls you will be able to avoid on your own. In this case, 1389 Blog – Antijihadist Tech was displaying, but the format was scrambled. I found out about this problem when I got a direct message from a fellow Twitterer, ThomAllen, telling me that my blog wasn’t loading properly. I immediately checked it out in IE7 and the mobile web interface, but everything showed up just fine. My Feedburner output looked good also. Don’t be afraid to ask for help! I asked other people on Twitter, and on an open thread in another blog, to view this blog in their own browsers, and to let me know which browsers they had used and what errors they saw (if any). I got a considerable number of responses. Thanks, everyone! Pinpoint the problem. After reviewing the responses, I could see that the blog worked fine in IE6, IE7, mobile Mozilla 4, and Safari. But in Firefox, the main content in the center column was pushed to the bottom of the blog, below the final element in the left sidebar. Some people also warned that it took a long time to load. Reproduce the problem on your own computer, if you can. Other Twitterers urged me to go ahead and install Mozilla Firefox 2 on my machine and use it to view the blog. I did exactly that, and was able to duplicate the problem that I had been told about. Look at docs, man pages, wikis, forums, and whatever else is available. Because this is a WordPress blog, I looked up the problem in the WordPress codex, the WP Designer forum, and other WordPress forums and docs. Turns out that some browsers are pickier than others about how they handle issues with padding and elements that don’t quite fit in the allotted space. What has changed recently? I remembered that I had made some adjustments to the sidebar size and padding in my WordPress layout to accommodate some petition widget code that was just a bit too wide to fit into the left sidebar. Hmmm, I thought, this isn’t working the way I thought it would! Back out recent changes to get to a version that works, and rebuild from there. I started by reloading the original theme files for Cutline 3-Column Split. I created a WordPress page for Petitions and moved the petition boxes into it. To cut back on the load time and reduce visual complexity, I also decided to move the IT and Computing Links and the Mobile Web Links into separate WordPress pages also. Links to all of the blog’s pages are prominently displayed under the Pages header in the sidebar (see Resources). So what are the take-home lessons here? If you notice that someone else’s blog isn’t displaying correctly, don’t automatically assume that the blog owner is already aware of the problem. Maybe not! You can help by sending an email or other message indicating what browser you are using, and describing exactly what happened (or failed to happen). On a regular basis, look at your own blog in several different browsers, including the mobile web interface if you have one. Be sure to view the blog before you have signed on as a blog admin. In addition, check your feed output and any other features that involve user interaction, such as polls and response forms. It is not worthwhile to hack or tweak your blog template just to squeeze an odd-sized widget or graphic into a sidebar or other page element. You’ll end up with a lopsided theme that might not load properly. It’s better to find an entirely different place to display that item. And if you do any WP theme-hacking, be sure to test your new or modified theme in as many browsers as you can before releasing it for use in anyone’s blog! Track your stats and check them often. It’s a good idea to use several tracking tools. For example, Google Analytics gives you a breakdown of visitors by browser type as well as by referrer (i.e., the site that the visitor came from). If visitor counts, and time spent on your blog, decline for a particular type of browser, that may mean that your blog performs poorly for that browser. If you stop getting traffic from a certain referrer, perhaps you are being blocked in some way. Other utilities, such as Google Webmaster Tools, can tell you whether search engine spiders are able to index your site’s pages so that the public can find you. All good points and I’m happy to see that the blog is working fine (I only use Firefox for viewing and IE6 for testing the theme I’m working on). Main rule, if your going to edit a theme, use multiple browsers. I have a PortableApps.com USB drive that has Firefox and Opera 9.22 installed. I also have plugins for Firefox that let me masquerade as any other browser to check scripting errors. Also, as you said, I use Google Analytics along with two WP plugins: Counterize II (v2.04 for browser string viewing) and Firestats. Using all three of these I can track visitors and errors from multiple points of view. No, I wouldn’t exactly describe the blog as a “hobby.” These days, we post only when we have something that we feel is important to say, and nobody else has already said the same thing elsewhere. Thus, I would say the blog is more of an occasional duty than a hobby. Hey I am A blogger I hence the above information is very important for me…. Why Bloggers Need to Ping — 1389 Blog – Counterjihad! Previous post: New Web 2.0 Marketplace, Free for 48 Hours!